1 A None No Power Seat 1 A is a standard First Class seat that may have restricted legroom due to the proximity of the bulkhead. The proximity to the lavatory and galley may be bothersome. 1 B None No Power Seat 1 B is a standard First Class seat that may have restricted legroom due to the proximity of the bulkhead. The proximity to the lavatory and galley may be bothersome. 1 C None No Power Seat 1 C is a standard First Class seat that may have restricted legroom due to the proximity of the bulkhead. The proximity to the lavatory and galley may be bothersome. 1 D None No Power Seat 1 D is a standard First Class seat that may have restricted legroom due to the proximity of the bulkhead. The proximity to the lavatory and galley may be bothersome. 10 A None No Power Seat 10 A is a standard Economy Class seat that has extra legroom as there is no bulkhead wall, just a curtain divider. The tray table is in the armrest, making the armrest immovable and slightly reducing seat width. 10 B None No Power Seat 10 B is a standard Economy Class seat that has extra legroom as there is no bulkhead wall, just a curtain divider. The tray table is in the armrest, making the armrest immovable and slightly reducing seat width. 10 C None No Power Seat 10 C is a standard Delta Comfort+ seat that has extra legroom as there is no bulkhead wall, just a curtain divider. The tray table is in the armrest, making the armrest immovable and slightly reducing seat width. This seat is often bumped by service carts or others passing by. 10 D None No Power Seat 10 D is a standard Delta Comfort+ seat that has extra legroom as there is no bulkhead wall, just a curtain divider. The tray table is in the armrest, making the armrest immovable and slightly reducing seat width. 10 E None No Power Seat 10 E is a standard Delta Comfort+ seat that has extra legroom as there is no bulkhead wall, just a curtain divider. The tray table is in the armrest, making the armrest immovable and slightly reducing seat width. 11 D None No Power Seat 11 D is a standard Delta Comfort+ seat. 11 E None No Power Seat 11 E is a standard Delta Comfort+ seat. 12 A None No Power Seat 12 A is a standard Delta Comfort+ seat. 15 B None No Power Seat 15 B is a standard Economy Class seat. Delta designates this seat as a Preferred Seat, which is reserved for Delta Medallion members. This seat may be selected by Medallion members at time of booking or afterwards. This seat becomes available to all passengers at time of check-in. 16 B None No Power Seat 16 B is a standard Economy Class seat. Delta designates this seat as a Preferred Seat, which is reserved for Delta Medallion members. This seat may be selected by Medallion members at time of booking or afterwards. This seat becomes available to all passengers at time of check-in. 17 B None No Power Seat 17 B is a standard Economy Class seat. Delta designates this seat as a Preferred Seat, which is reserved for Delta Medallion members. This seat may be selected by Medallion members at time of booking or afterwards. This seat becomes available to all passengers at time of check-in. 24 A None No Power Seat 24 A does not recline due to the exit row behind. 24 B None No Power Seat 24 B does not recline due to the exit row behind. 24 C None No Power Seat 24 C does not recline due to the exit row behind. 24 D None No Power Seat 24 D does not recline due to the exit row behind. 24 E None No Power Seat 24 E does not recline due to the exit row behind. 25 B None No Power Seat 25 B has limited recline due to the exit row behind. Delta designates this seat as a Preferred Seat, which is reserved for Delta Medallion members. This seat may be selected by Medallion members at time of booking or afterwards. This seat becomes available to all passengers at time of check-in. 25 C None No Power Seat 25 C has limited recline due to the exit row behind. Delta designates this seat as a Preferred Seat, which is reserved for Delta Medallion members. This seat may be selected by Medallion members at time of booking or afterwards. This seat becomes available to all passengers at time of check-in. 25 D None No Power Seat 25 D has limited recline due to the exit row behind. Delta designates this seat as a Preferred Seat, which is reserved for Delta Medallion members. This seat may be selected by Medallion members at time of booking or afterwards. This seat becomes available to all passengers at time of check-in. 26 A None No Power Seat 26 A has extra legroom due to the missing seat in front. This seat has limited recline due to the exit row in back. Delta designates this seat as a Preferred Seat, which is reserved for Delta Medallion members. This seat may be selected by Medallion members at time of booking or afterwards. This seat becomes available to all passengers at time of check-in. 26 B None No Power Seat 26 B has limited recline due to the exit row behind. 26 C None No Power Seat 26 C has limited recline due to the exit row behind. 26 D None No Power Seat 26 D has limited recline due to the exit row behind. 26 E None No Power Seat 26 E has extra legroom due to the missing seat in front. This seat has limited recline due to the exit row in back. Delta designates this seat as a Preferred Seat, which is reserved for Delta Medallion members. This seat may be selected by Medallion members at time of booking or afterwards. This seat becomes available to all passengers at time of check-in. 27 A None No Power Seat 27 A has extra legroom due to the exit row in front but does not recline. The tray table is in the armrest, making the armrest immovable and slightly reducing seat width. There is no window-side armrest for this seat which may be uncomfortable, and it can get very cold by the exits during flight. Delta designates this seat as a Preferred Seat, which is reserved for Delta Medallion members. This seat may be selected by Medallion members at time of booking or afterwards. This seat becomes available to all passengers at time of check-in. 27 B None No Power Seat 27 B has extra legroom due to the exit row in front but does not recline. The tray table is in the armrest, making the armrest immovable and slightly reducing seat width. Delta designates this seat as a Preferred Seat, which is reserved for Delta Medallion members. This seat may be selected by Medallion members at time of booking or afterwards. This seat becomes available to all passengers at time of check-in. 27 C None No Power Seat 27 C has extra legroom due to the exit row in front but does not recline. The tray table is in the armrest, making the armrest immovable and slightly reducing seat width. Delta designates this seat as a Preferred Seat, which is reserved for Delta Medallion members. This seat may be selected by Medallion members at time of booking or afterwards. This seat becomes available to all passengers at time of check-in. 27 D None No Power Seat 27 D has extra legroom due to the exit row in front but does not recline. The tray table is in the armrest, making the armrest immovable and slightly reducing seat width. 27 E None No Power Seat 27 E has extra legroom due to the exit row in front but does not recline. The tray table is in the armrest, making the armrest immovable and slightly reducing seat width. There is no window-side armrest for this seat which may be uncomfortable, and it can get very cold by the exits during flight. Delta designates this seat as a Preferred Seat, which is reserved for Delta Medallion members. This seat may be selected by Medallion members at time of booking or afterwards. This seat becomes available to all passengers at time of check-in. 33 A None No Power Seat 33 A has limited recline. 33 B None No Power Seat 33 B has limited recline. 36 A None No Power Seat 36 A has extra legroom due to the missing seat in front. Delta designates this seat as a Preferred Seat, which is reserved for Delta Medallion members. This seat may be selected by Medallion members at time of booking or afterwards. This seat becomes available to all passengers at time of check-in. 36 B None No Power Seat 36 B has extra legroom due to the missing seat in front. However, there is a crew seat in front of this seat which may be bothersome. Delta designates this seat as a Preferred Seat, which is reserved for Delta Medallion members. This seat may be selected by Medallion members at time of booking or afterwards. This seat becomes available to all passengers at time of check-in. 37 A None No Power Seat 37 A is a standard Economy Class seat, however, the proximity to the lavatories and galley may be bothersome. 37 B None No Power Seat 37 B is a standard Economy Class seat, however, the proximity to the lavatories and galley may be bothersome. 38 A None No Power Seat 38 A is in the last row of the plane. This seat has limited recline and this row is missing a window. The close proximity of the lavatories may be bothersome. 38 B None No Power Seat 38 B is in the last row of the plane. This seat has limited recline and this row is missing a window. The close proximity of the lavatories may be bothersome. 38 C None No Power Seat 38 C is a standard Economy Class seat however the close proximity to the lavatories may be bothersome. 38 E None No Power Seat 38 E is a standard Economy Class seat however the view from the window is partially obstructed by the location of the engines. 39 C None No Power Seat 39 C is in the last row of the plane. This seat has limited recline and this row is missing a window. The close proximity of the lavatories may be bothersome. 39 D None No Power Seat 39 D is in the last row of the plane. This seat has limited recline and this row is missing a window. The close proximity of the lavatories may be bothersome. 39 E None No Power Seat 39 E is in the last row of the plane. This seat has limited recline and this row is missing a window. The close proximity of the lavatories may be bothersome. 4 B None No Power Seat 4 B is a First Class seat that is often bumped into by other passengers and crew members passing by. All First Class and Delta Comfort+ rows 10 through 12 have 110v AC power outlets and USB ports. With the engines mounted at the rear of this aircraft, most travelers enjoy a relatively quiet cabin and inflight experience. The left-hand side of the aircraft may be more desirable for those traveling as a couple due to a configuration of 2 x 3. It is reported that the recline for seats on this aircraft are inferior to other domestic narrow body jets. Overhead bins are also smaller than standard and roll-aboard suitcases must often be placed sideways to fit. Its still a good seat because of the legroom, but it’s loud because you’re next to an engine, and theres nowhere to store a bag in front of you. This bulkhead first class seat was comfortable and had plenty of legroom. Im 65 and far from being skinny....i had no problems with comfort or buckling up. I had room to spare all the way around. Wirth the money , especially if you are large size. the underseat storage on all aisle "C" seats are much smaller than middle or window. This applies to all rows in coach. My understanding is that there is supposed to be additional front-back legroom on Comfort+ seats. If this is true for this seat, I really feel sorry for the people in Economy. I could not even turn around to sit in my seat. I had to go back out to the aisle and slide in to sit down. This seat is horrible! Comfortable seat, quiet and smooth ride, more overhead storage than I've encountered lately on short hauls. The one problem with sitting toward the front is that this plane seems to take forever to load since it's long, narrow and only has the one entrance. If boarding with the "sky" priority group isn't a concern for you, it may be more comfortable to wait until a later boarding group. 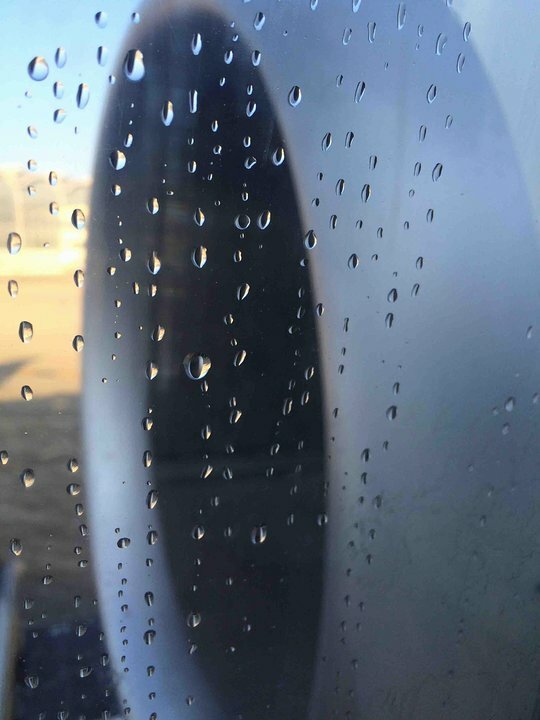 Directly beside the engine. Fumes before take off. Extremely noisy ride. Somewhat cramped seating. Noisy. Agree with an earlier comment that the seats on the 2 seat side are better for a traveling couple, but on this flight Delta has apparently decided to charge extra for these seats, so passed them up. My seat was broken and did not recline. 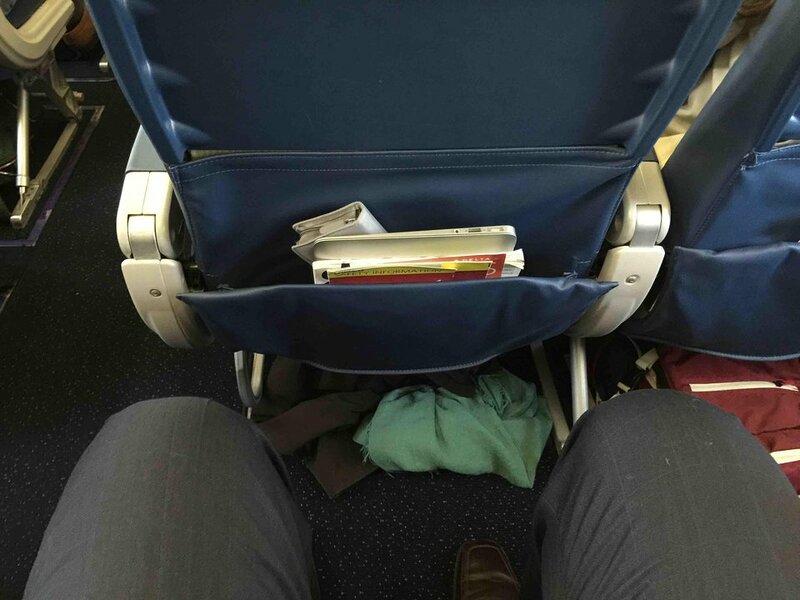 The legroom was so tight that by the end of my SMF - MSP flight I could not feel my legs or anything that pertains to them. The two guys sitting next to me seemed to have a hard time as well. The aircraft was N924DN, an ex-China Eastern, 18 year old trouble-maker. I was asked by a flight attendant to switch to this window seat from my aisle so two boys could sit together. She failed to mention the air that blows on to your feet below the seat is frigid. I was wearing winter boots, a blanket and a winter coat over my feet and they were still numb from the cold after 4 hours of having to sit in this seat. Never, ever choose this seat. Took the MD-90 from Boston to Atlanta and my ears are still ringing 24 hours later. I'm not sure if the noise level is greater from this seat or if the whole plane is loud (I had to yell to the flight attendant to order a beverage). The flight was great, but the noise level is just unbearable so I will probably try and sit towards the front next time to give it a try. Took the MD88 up to Boston and didn't seem to bother me at all in row 22. Completely disagree, horrible noisy, up to 104 decibel, 96 average, damaginging for your ear in 15-30 min. This would be considered a dangerously loud work place, ear plugs are a must. The crew did not have any one, so bring yours. I don't think row 37 is better. I'll go out of my way to avoid any flight on this plane again. My husband and I are both tall - 6' and 6'8". These are the worst comfort seats ever. Intolerable due to lack of leg room. This row does not have extra legroom typically associated with an exit row seat. Between the seat not reclining and not having any additional legroom, I would feel comfortable calling it one of the worst seats on the plane. Row 10 offers great legroom. Definitely superior to the other Comfort+ on the same plane, in my opinion. This particular seat also offers a great view if you're into that sort of thing - not obscured by the wing or a weird angle. The arm rest tray table is problematic but not a deal breaker for me. Quiet seat, close to the front for easy on/off, but out of the way of lavs, galley, etc. 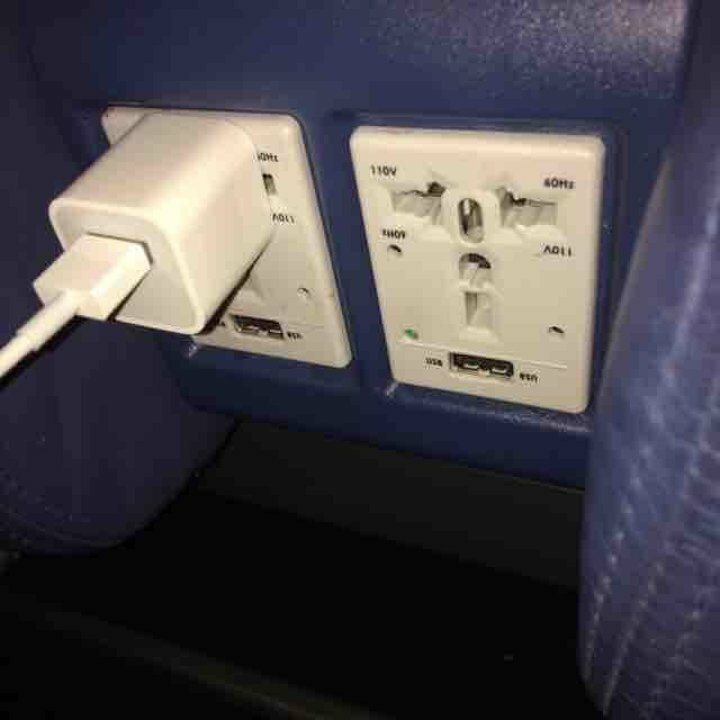 Electrical outlets were close to the seatback pockets which was convenient for charging things while they were tucked in. Seemed to have a bit less legroom than some other models' Comfort+, but the seat itself was comfortable enough. Most planes in the delta fleet have a seat the sticks out in the aisle, but this one is really IN the aisle. I'm a legroom junkie so I love row 10, but 10C can really get to you. If you get it, board last and take the risk with your carry on. The aisle shifts to the right and narrows as you leave the first class area. My injured left knee was battered by at least 8 passenger's carry ons as they boarded. It will be a cold day in hell before I book that seat again. Row 13 is Comfort+, however it does not have AC outlets for some unknown reason. 10C seems like it better with the extra legroom, but is not. You are hanging out in the aisle, and NOBODY can negotiate the jog in the aisle there without banging into you. ANY other seat in EC is better, even a middle. I purchased a comfort plus seat on this leg of my trip to see if it was worth it. It wasn't. The seat did have maybe 2-3 inches of extra space but 2-3 inches is not a lot. Just enough to wiggle your legs a bit more. I'm 6'3 btw. If the guy in front of you leans back in their chair, say goodbye to extra space. My trip was 3 hours long and the drink cart only came by once. Alcohol was complimentary but since the cart only ran once, you got one drink. You may be able to ring the bell and have someone stop by so you can ask for more but I really didn't want to be placed in the spotlight. Snacks were a pick one from a basket of items (biscuits, bananas, etc) but the further back you are from the front of the plane, the less likely something good will be left for you in the basket as there is only one. There is no video screen on the back of the seat in front of you. Thus, no in-flight entertainment unless you have a laptop or tablet. They don't tell you this either before hand. Finally, make sure you stow your belongings in the overhead because even though it says "reserved for comfort plus passengers only," they still allow people from economy to place their bags there! Someone got on the plane late and didn't have any place to stow their luggage. Shame on delta. To sum up, don't purchase these seats if the plane is and MD-90 (too old) and if your flight is less than 3 hours long. It's just not worth it at all. The legroom is amazing. It is the first row after first class, with a curtain divider, so it has extra legroom. The tray table in the armrest isn't a problem at all. Recommended seat. Nothing to complain about. I liked this seat although the view is partially obstructed by the engine. Nothing too special about this seat. Average legroom and a nice view due to the wing being behind you. MD-90s are quieter than the -80s, and the further forward you are, the better. If you're seated in the front of the plane you can barely hear the engines, which are mounted at the back. The noise in 15E isn't too bad. I'd recommend it as a standard economy seat. Plenty of space for a 6'6" man in this exit row seat. This seat has no extra legroom. 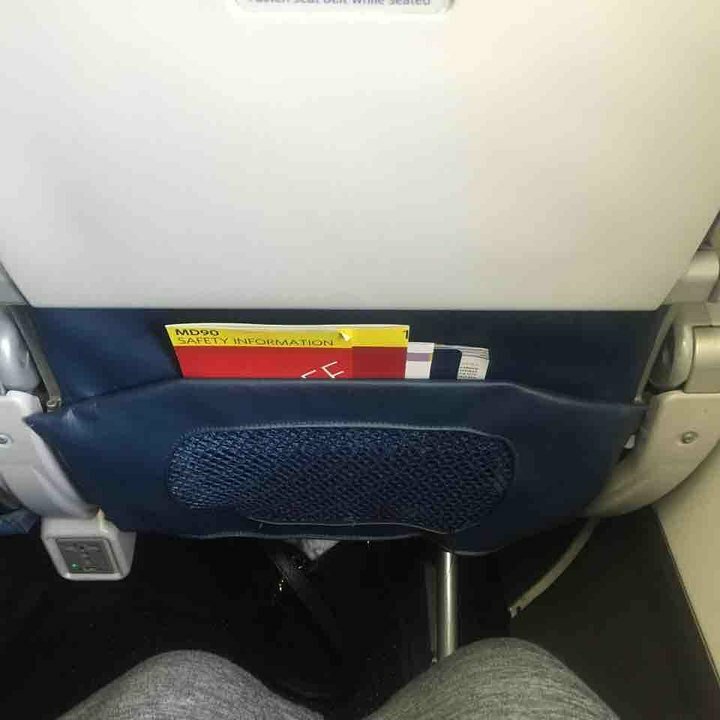 Delta charges for this seat as if it is an exit row but it is not worth paying for as it is no different from the standard seats. Seat 26A is a much better choice as it has no seat in front of it. For those seeking an Exit Row seat these two seats should not be on your list. It looks as if this "twofer" would be a nice choice but there is absolutely no recline and NO EXTRA PITCH. I liked this seat. It's not an exit row, so I was able to sit in it with a baby, but it felt significantly more roomy and less claustrophobic because the flight attendant was out of the flight attendant seat most of the flight time. I am glad I upgraded to the + seats. Liked boarding in group 1 and having the extra leg room as a six footer. 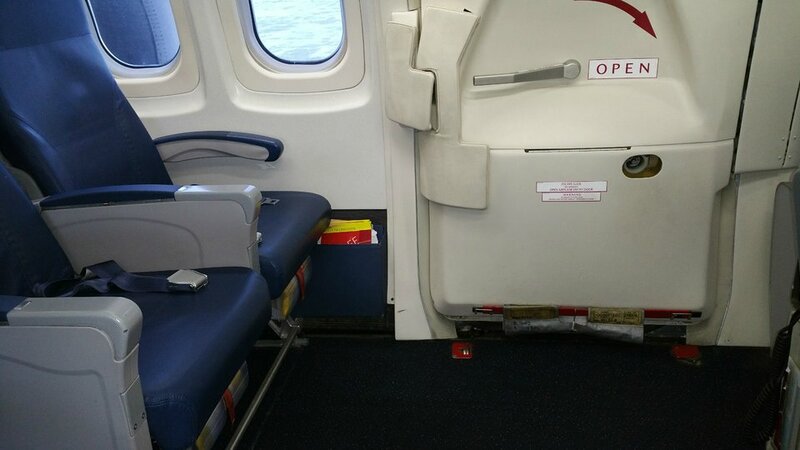 This is quite possibly the worst seat in the entire Delta fleet. The drink cart will ram into your seat 20+ times. The seat should just be removed ... and to pay $60 extra for this? Ridiculous. Do not sit in this seat. If you can opt for the 2 side on the MD90, go for it by all means. The overhead bin space isn't as good as on the other side of the aisle, but having just one seat to jump over during a three hour flight makes quite a difference. Good amount of leg room and power port available. Good seat. I was put in this seat last minute because I missed my connecting flight. There's no window even though it is a window seat. You're sitting right in front of the washroom where you can smell everything. It's extremely loud at the back of the plane and uncomfortable as well. The airplane looked new (i was not expecting) and clean. It was alot nicer than the 757 I took after. I agree that the ceilings were very low. The flight attendants were awesome and overall it was good for a 3hr. BOS-ATL full flight trip. I'm currently sitting in seat 36A. I agree with other reviewers; while you get extra legroom, there are a lot of disadvantages as well. During beverage service, if people need to get to/from the restroom, the extra space in front of you is used for people to stand and wait, while the cart pushes forwards/backwards right next to seat 36B so people can get by. Additionally, there is no under-seat storage in neither 36A nor 36B, which can be annoying. I'm not sure I'd choose this seat again. The legacy seats make this flight more tolerable as opposed to the new slimlines. This plane is substantially narrower than the standard domestic plane (i.e. 737's, Airbuses, etc). The ceiling is relatively low as well. It gets a bit claustrophobic. Adding to this, there is a high degree of ambient noise intrusion, especially in the 20's on. It was so loud, I couldn't hear any announcements. The lav is also pretty small. The plane is also annoyingly long, so deplaning is slow. Overall, I would avoid this aircraft. I've found CRJ-800's to be more enjoyable than this. Definitely book a seat near the front. Seats 10D,E are great! Generous leg room and storage under 1st class seats in front of you. 10C has even more leg room but you are sitting in the 1st class aisle. While the extra leg room is nice, if the lavatory is full or the food/beverage cart is being pushed in the aisle, people tend to crowd in this little area where the exit door is making it unpleasant at times. This is one of Delta's older aircraft. As a result, you will have a better seat, but less overhead storage and no entertainment. I flew in the first class section, so I had 110 volt AC at my seat. In both first class and in coach, you get a wider seat with more leg room and more recline that you get on Delta's new aircraft. If you don't need the overhead storage and you have a choice, avoid Delta's new aircraft and fly the MD-88s and the MD-90s. Don't fly Delta very much, but based on my flight, it was clear that their aircraft are ageing. Seat felt cramped and although the interior appears to have been refreshed in the past few years, there's not much padding on the new seats and they felt narrow compared to the A319/320/321 seats on other airlines (and I'm a slim guy). And although seat 15 is fairly forwards, this plane is LOUD in flight- bring your noise-cancelling headphones. When cabin is dark, light from lav is near eye level and can be uncomfortably bright. The flight attendants cannot move the drink cart through the aisle with 4B in recline. Every time the cart goes through, you will be asked to put your seat back in the upright position. Seat 36B is definitely the best one on the flight - though, as someone else mentioned, fairly noisy. This plane is LOUD. The seats are in good condition, leather, but no video, no power, and only a few Ec seats. Drink service is slow since the kitchen is only in front. very nice window view and respectful flight attendants but very boring because there is no tv and the seat belt was broken. very old fahion plane. I feel 36B is the best seat in Coach with more than twice as much leg room as the seats in First Class have. 36A gives up some space to the exit door which protrudes out slightly. If you don't need to deplane fast (too many rows ahead of you) 36B is ideal. The best seats on this plane. Great legroom as bulkhead wall is a half curtain behind First Class row 4. Plenty of underseat storage. Tray tables are in the armrests which slightly restricts width of seat but well worth the EC+ fee if seat/s are available to select. Delta flies 1 versions of MD-90.